Especially in the heightened stress of transitional periods of our lives, we must combat forces that lead to poor decisions. Drawing on behavioral psychology research and our team’s collective experience in navigating situations for our clients, we’ll discuss the impact of Narrow Framing, Confirmation Bias, Short Term Emotion, and Overconfidence and discuss a four-step process designed to counteract these biases. Primary source of the material – “Decisive” By Dan and Chip Heath. What steps should professionals in transition take to safeguard their financial future? Are there specific tax and financial strategies for transition that can minimize risk and reduce stress? What should you do when you find a new role, to build financial health and future security? These are just a few of the vital questions that we'll address during this presentation. 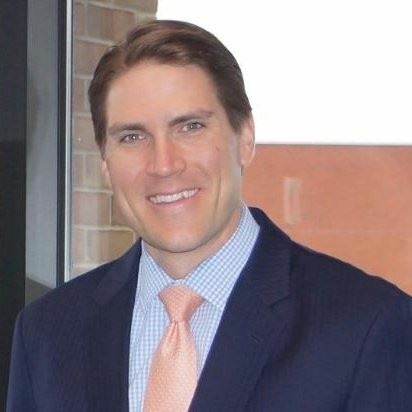 Erik is a lead Financial Advisor with CSG Capital Partners of Janney Montgomery Scott. He holds his FINRA series 7,66 and 31 license as well as a general insurance license. In addition to these licenses, Erik is a Certified Financial Planning professional. With his strong financial planning background, Erik works with individual and corporate clients in transition, providing the guidance necessary to master key defining moments, from buying your first home, to career progressions, to preparing for retirement. Understanding that emotional and financial transitions go together, Erik works with CSG clients to understand the full impact of their meaning to the client, family or business, and tailors appropriate investment solutions to meet that need. On a personal level, Erik is a graduate of Gettysburg College where he excelled as a scholar-athlete. A passionate student of leadership and behavioral economics, he enjoys the opportunity to apply these disciplines to the team's client experience. He and his wife Ashley were married in Bali, Indonesia and love to travel, having explored world locations such as Belize and Thailand. Their time these days is occupied by the newest addition to their family, and future traveler and golfer, their son Ashton. A perfect weekend day for the Fromms is spent outside at the farmer's market, at the park, and around the grill.